Sunshine Generation is an international children's performing group with thousands of boys and girls participating in its award-winning curriculum. Sunshine Generation is offered at hundreds of locations, including many daycares and pre-schools. 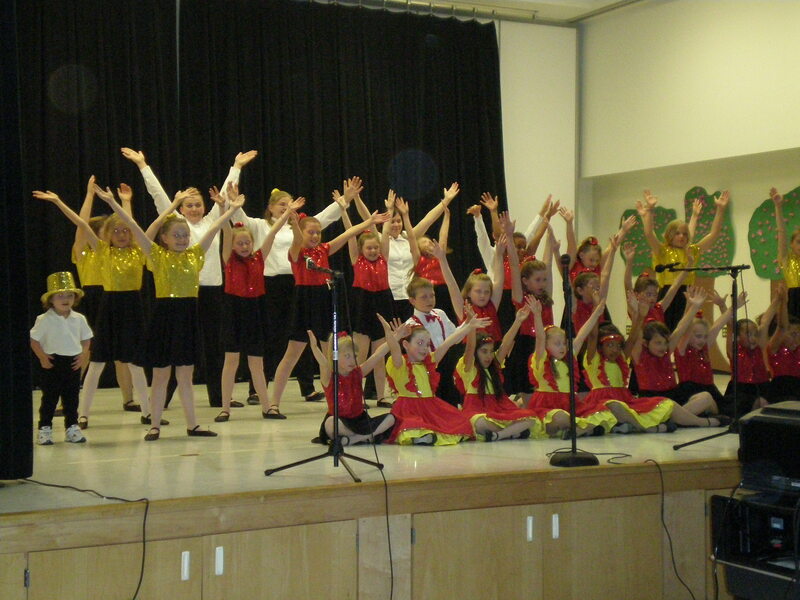 Dances are choreographed for both boys and girls. As dance ability increases, the choreography becomes more advanced. Correct vocal techniques are taught. Children learn vocabulary for music terms and sing a wide variety of music to enhance vocal qualities. All children have talents that can be developed. A child's self-esteem grows as they realize that they have something wholesome and worthwhile to contribute. Our young entertainers perform to professionally arranged, studio-recorded instrumental music produced exclusively for Sunshine Generation. Music styles vary from Pop and Country to Broadway and beloved standards. Sunshine Generation is not affiliated with any religious organization. 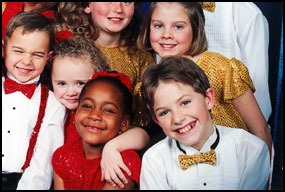 Music and dance are representative of many backgrounds and cultures. Sunshine Generation is offered at a reasonable monthly fee. Performance costumes are mass-produced making them cost effective. Please get in touch so I can send you more information and put you on our mailing list if you'd like.